Data is at the nucleus of informed decision-making. For many organizations, however, there are complicated processes that come into play before data can serve its true purpose, especially when massive amounts of data are involved. The first complication is the actual collection and storage of data, which can come from on-premises, the cloud, various applications, and other sources. Other complications include the operations that ensure a company’s data is properly pulled, processed, transported, and visualized in ways that allow for meaningful analysis. These processes are complex, resource-intensive, expensive, and may require specialized skills that are notoriously in low supply, with gaps between IT, lines of business, and data scientists. Alteryx, an AWS Partner Network (APN) Advanced Technology Partner with AWS Competencies in both Data & Analytics and Machine Learning, helps customers overcome these challenges through their Alteryx Platform. The Alteryx Platform is a self-service data science and analytics platform that enables organizations to take full advantage of their data and analytics assets through a drag-and-drop interface that is both code-free and code-friendly. The end-to-end platform empowers data analysts and scientists alike to break data barriers and deliver business-critical insights faster. Alteryx Server, a critical component of the Alteryx Platform, is available in the cloud via Amazon Web Services (AWS). 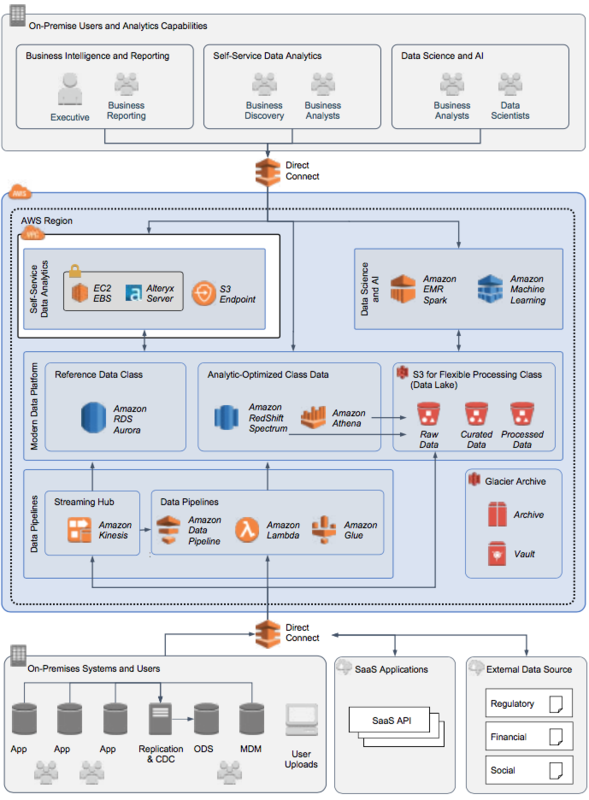 Through the partnership of AWS and Alteryx, users can create and execute key analytics workflows on AWS, such as reading and writing data to Amazon Simple Storage Service (Amazon S3) and reading data from Amazon Athena and Amazon Aurora. Furthermore, leveraging Alteryx Server on AWS is a cost-effective, flexible, and collaborative way to manage and deploy various configurations of the Alteryx Platform with minimal involvement from IT. Worker component – Executes the Alteryx workflows and analytic applications, as well as produces the analytic output. Controller component – Orchestrates application executions and is responsible for management of the service settings and delegation of work to the worker component. Scheduling component – Enables users to schedule the execution of workflows developed within Alteryx Designer, either on a recurring basis or at a specific time. Gallery web server component – Allows organizations to create a private gallery of analytic workflows and applications that can be accessed and shared with other users in the organization. In addition, when combined with Alteryx Designer, Alteryx Server enables customers to quickly discover and connect to their data, enrich and blend it with other data sources, conduct advanced analytics, and share insights at scale across the enterprise. Specifically, Alteryx Designer streamlines the analytics process by delivering repeatable workflows in a self-service manner. You can download a free trial of the Designer via the Alteryx Analytics Template Kit for AWS to learn about the ease of creating key analytics workflows on AWS using the Alteryx Platform. Figure 1 – Alteryx logical reference architecture. In August 2018, we published Best Practices for Deploying Alteryx Server on AWS. This whitepaper illustrates several options for deploying Alteryx Server on AWS, and provides prescriptive guidance on sizing and scaling for availability, backup and restore, monitoring, security, and costs. Alteryx Server gives you quicker insight to data and helps your business make better-informed decisions faster. To get started, visit AWS Marketplace to quickly deploy Alteryx Server on AWS in line with the best practices detailed in our whitepaper. 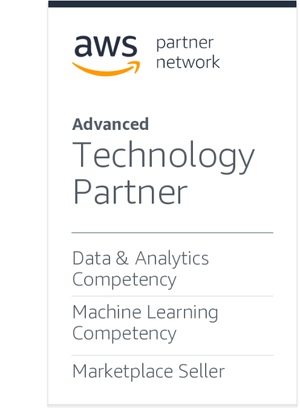 Alteryx is an AWS Competency Partner. They are revolutionizing business through data science and analytics, empowering everyone in an organization to experience the thrill of getting to the answer faster.